Today and tomorrow I am sharing two cards that using the inlaid die cutting technique. 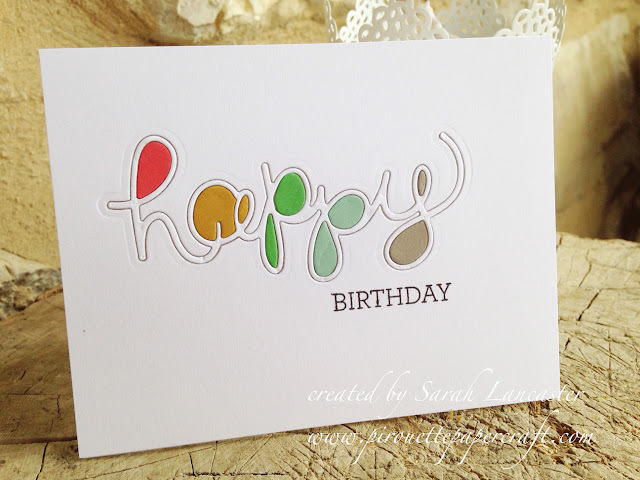 Now this produces really cool effects and you can follow this easy tutorial by Jennifer McGuire to produce stunning cards. My card today highlights the new 2015-2017 In Colors from Stampin' Up! My die cut for the *happy* is from the Hello You thinlits and the sentiment is from the Crazy About You stamp set. 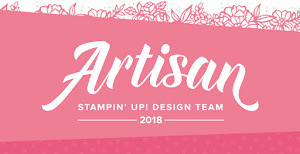 You can get these dies and stamps in a bundle and save 15%! This is a super bundle to add to your collection, you'll never be short of the right sentiment for a card!